I love Derek Webb. I first started listening to his music in 1994 when I was in college and when he was in Caedmon’s Call. I will never forget the first time I saw Derek perform live with Caedmon’s (circa 1995). It was at Tulane University in New Orleans, and I and the other hundred or so people were mesmerized for the entire concert. When I heard Derek sing and play “Bus Driver” that night, he became my favorite of the group. It was one of the best shows I’d ever been to. 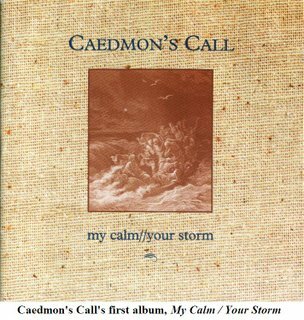 Caedmon’s Call was supposed to be playing Christian music, but it didn’t sound like any of the “almost-as-cool-as-the-real-thing” Christian music that was being produced in Nashville. 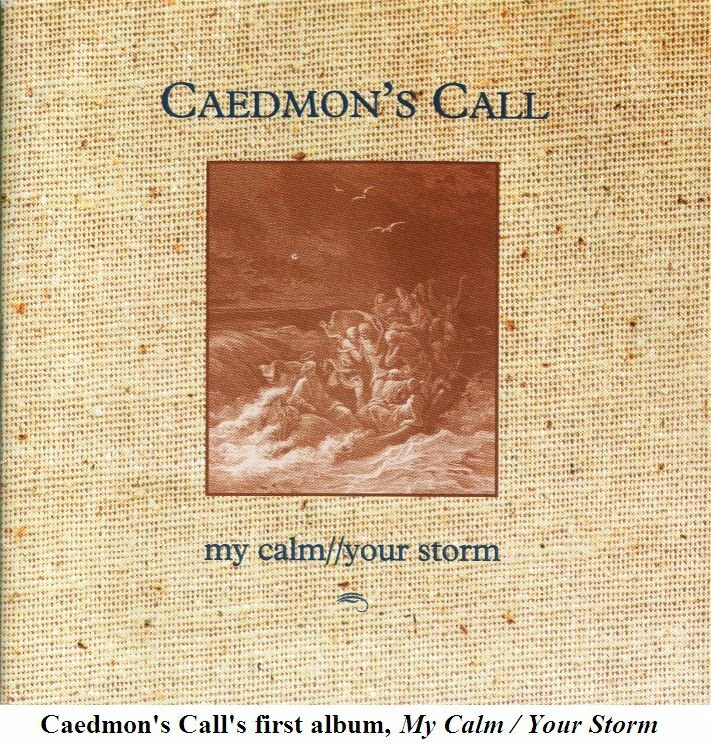 The stuff Caedmon's was playing was lyrically profound and musically brilliant. From the very beginning, it was the lyrics and the music that held me. And as the years went by, both seemed to get better and better. I'm not gonna worry 'bout nothin'. Then I'll make it okay. . .
That’s why I (and many others) celebrated the news in 2002-2003 that Derek would be breaking away from Caedmon’s to do a solo album. That solo album, She Must and Shall Go Free, did not disappoint. I thought Derek manifested a new apprehension of the Gospel in these songs, and I was tracking right along with him. In these lines (from the song "Lover"), I saw myself as the one with all the “history,” and I saw Jesus with the “bread and wine.” Again, the music was outstanding, and the lyrics were deepening. I’m reviewing all this history because the rest of what I am about to say wouldn’t make sense if I didn’t. Given all that Derek has written before, I do not understand where he is going with his latest album Mockingbird. The music is still great. If you haven’t heard the album yet, you can listen to two of the songs for free at Derek’s website: http://www.derekwebb.com/. Yet as I hear and read the lyrics, I see a new trajectory in Derek’s thought. To be sure, much of the message is good stuff. Nevertheless, a good portion of the album reads like a left-wing political tract. I am reading all of this, and I’m asking myself, “What’s going on with Derek Webb?” I am honestly in the dark here. I can’t figure out why all of a sudden he’s engrossed with anti-conservative politics. Is it just me, or does anyone else see what I am talking about? Thanks for the feedback. I share some of Webb’s frustrations. I can’t stand it when churches have patriotic services or when people only pray for political leaders who happen to be Republican. I would say that many an evangelical are concerned about those who conflate the interests of the Kingdom with the interests of America. It just seems like Webb’s complaint is going beyond that. This is probably a controversial thing to say, but I don’t think that pacifism and opposition to the death penalty feature very prominently in the mainstream of the evangelical tradition throughout church history. From Augustine forward, there has been a robust theological and biblical case for the idea of a just war. Notwithstanding the Anabaptists, the evangelical mainstream has by and large affirmed that sometimes justice requires war. Anyway, I’m not saying that one isn’t a Christian if one is a pacifist. I’m just saying that pacifism is not THE Christian view. Yet Webb’s songs sound as if he thinks it is. Next Next post: Bush To Be Impeached?